Colorado is the eighth-largest state in the U.S., measuring 380 miles east to west and 280 miles north to south. That's more than 100,000 total square miles to explore. Luckily, with so much to see and do, Colorado is very easy to navigate. 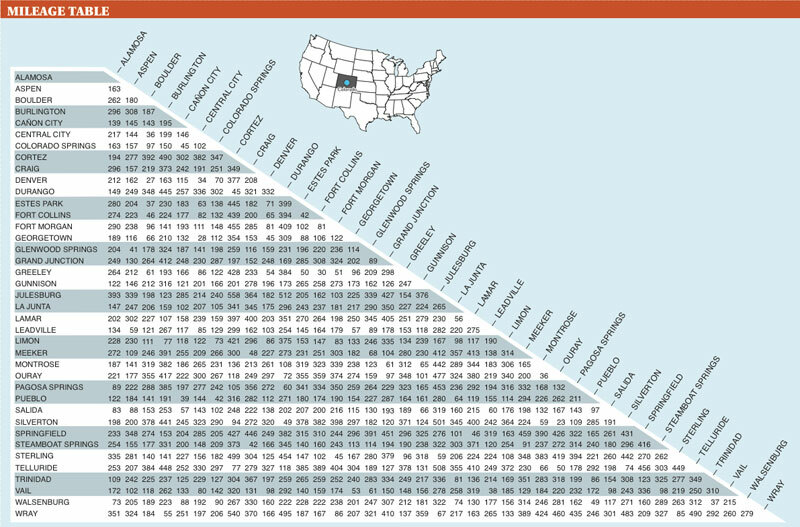 Check the regional Colorado map and consult the drive distance chart below to see how long it takes to get between many of the state's cities. 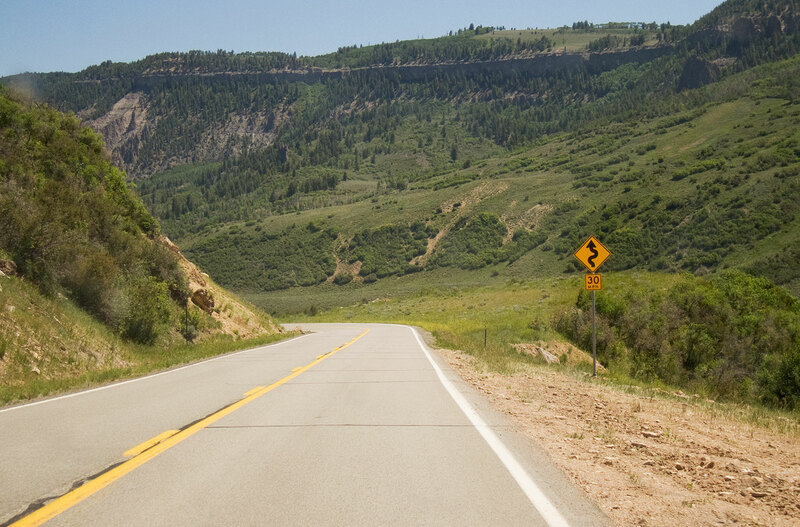 Make plans to stop by one of Colorado's 10 welcome centers, which are found in each corner of the state; at both ends of the major interstates that bisect Colorado (I-25 north to south and I-70 east to west); as well as in the Denver area and in Silverthorne, close to many of Colorado's ski resorts. The welcome centers offer face-to-face travel advice, maps, brochures, regional guides and more.